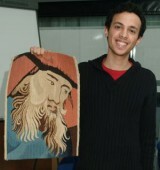 Djallal Khennouf - PhD student, successfully completed his PhD in 2010. 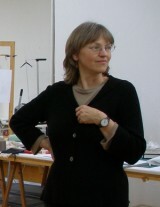 Helen Willams worked on the project from 2007 to 2009. Professor Janice (Dulieu-) Barton has worked in experimental mechanics and non-destructive testing since 1989 and has published over 200 papers on these topics. She received a BSc in Mechanical Engineering in 1988 from the University of Salford and a PhD from the University of Manchester in 1993. Currently she is a Professor Experimental Mechanics in the School of Engineering Sciences at the University of Southampton. 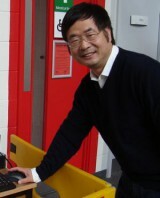 Professor Barton’s primary research interest is in thermoelastic stress analysis. Other interests include: damage analysis of composite/ sandwich/ textile materials, crack-tip stress studies, acoustic emission (AE) based damage characterisation in composites and small scale full-field experimental stress analysis. 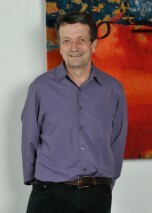 Professor Barton is a Fellow of the UK Institute of Physics and a Chartered Mechanical Engineer. Currently she is chairman of the Institute of Physics Applied Physics and Technology Division. She was chairman of Stress and Vibrations Group for three years and an elected member of the Institute of Physics council for four years. Professor Barton is past chairman and a director of the British Society for Strain Measurement (BSSM). She was Editor-in-Chief of the journal Strain (2000-2004) and is currently a member of the editorial council. She has chaired or been involved in the organisation of 20 international conferences. Alan Chambers graduated with BSc in Industrial Metallurgy a PhD from Birmingham University in 1974. After 10 years in industry in a research and development capacity Dr Chambers returned to academia in I984 in the Materials Research group at the University of Southampton where he now holds the position of senior lecturer. Dr Chambers research interests lie primarily in the field of spacecraft materials and space environment sensors and in damage mechanisms and detection techniques in composite materials. This has lead to experiments on space station Mir and the International Space Station. This interest in damage and damage detection indirectly lead to his current interest in damage, damage mechanisms and detection in engineering textiles and historic tapestries. Dr Chambers has published 80 journal and conference papers. 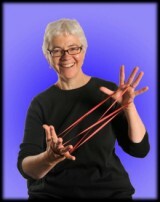 Dinah Eastop, PhD, FIIC, ACR, has a BA in the history of art and an MA in the anthropology. Her doctoral dissertation provides a material culture analysis of textile conservation. Her research focuses on the dynamic interplay between the material properties and social attributes of museum objects and its effects on conservation decisions. Recent publications include: Eastop, D. (2009) The cultural dynamics of conservation principles in reported practice, in: A. Richmond and A. Bracker (eds) Conservation: Principles, Dilemmas and Uncomfortable Truths. Oxford: Elsevier, 150-162; Eastop, D. and Morris, B. (2010) Fit for a princess? Material culture and the conservation of Grace Kelly’s wedding dress, in: F. Lennard and P. Ewer (eds) Textile Conservation: Advances in Practice. Oxford: Elsevier, 76-84. Since 2010 she has worked as a Consultant in Conservation and Heritage Studies. She is a Visiting Research Fellow, University of Southampton, UK and an Honorary Lecturer, Institute of Archaeology, UCL, UK. She has worked with ICCROM, notably for the CollAsia and the Sharing Conservation Decisions programmes. She co-authored Chemical Principles of Textile Conservation (with Ágnes Tímár-Balázsy, 1998; reprinted 1999, 2000, 2002, 2004, 2005 and 2007) and co-edited Upholstery Conservation: Principles and Practice (with Kathryn Gilll, 2000) and Changing Views of Textile Conservation, for the Getty Conservation Institute's Readings in Conservation series (with Mary M. Brooks, in press). Frances Lennard, FIIC, ACR, FHEA, was a Senior Lecturer at the Textile Conservation Centre (TCC), University of Southampton, UK until the closure of the TCC in October 2009. Frances worked as a textile conservator, for the TCC and in private practice, for 15 years before returning to the TCC in 2001 and taking on the role of Programme Leader of the MA Textile Conservation programme. Her research interests focus on the treatment of objects, particularly tapestries and painted banners. She is co-editor, with Maria Hayward, of Tapestry Conservation: Principles and Practice (Elsevier 2006), and of Textile Conservation: Advances in Practice with Patricia Ewer (Elsevier 2010). She has been part of the interdisciplinary University of Southampton research team since 2002 and is the Principal Investigator of the 3-year project: Towards in-situ monitoring of tapestry degradation using strain-based engineering techniques (2002-09). In 2010 she was appointed Senior Lecturer at the University of Glasgow to lead the new MPhil Textile Conservation programme there.